One day I was sitting on the city bus riding to my destination when I noticed something I hadn't seen in a while. "What was that? ", you ask. It was someone flying a kite. This person had taken time out of his busy day to do something he enjoyed. I enjoyed watching this. In today's world there are many simple pleasures that are often ignored. Kite flying is one of them. I became interested in learning more about the kite. I wondered about it's history. I discovered throughout history, kites have been flown for recreation as well as for other important uses. 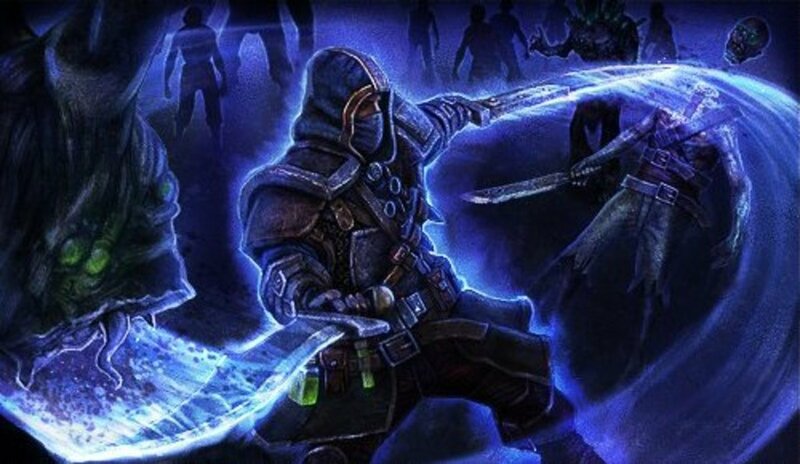 In fact the discoveries found through kiting have been used to improve how we handle tasks in this world. Kiting is a favorite past time for many people. Anything from flying them as a lone operator to attaching them to vehicles such as boats. Today air borne recreational products are in great demand for use in sports. 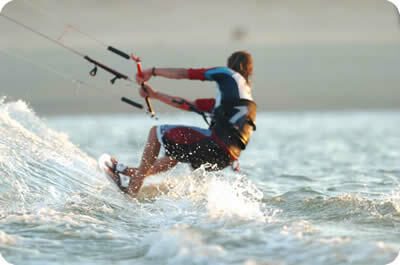 Discoveries of various uses in kiting are responsible for the invention of many products for recreation, science and the arts. These discoveries have brought about improvements in the fields of ground transportation and aviation.They have been used in the military as a way to spy on the enemy in their earlier days. 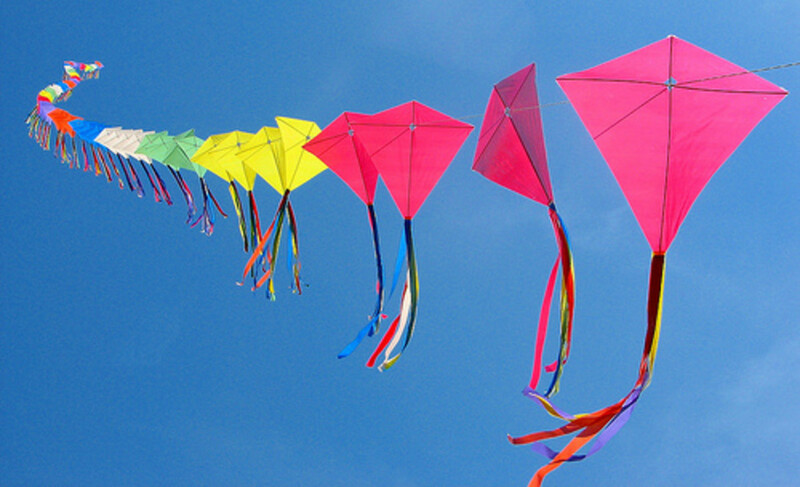 Kites have been in use for 2800 years. 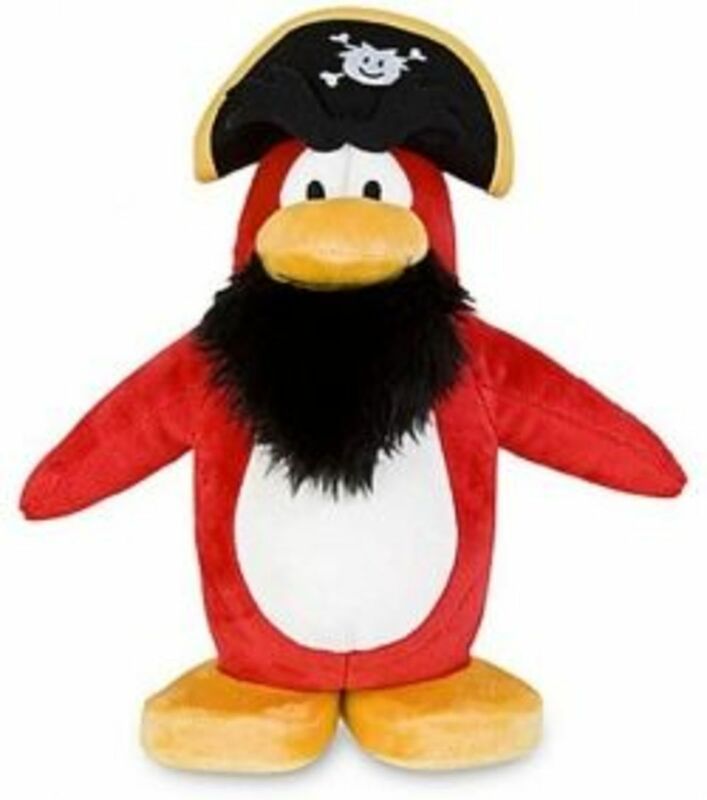 The invention of the very first one was documented in China. The first paper one was flown in the year 549 AD as a rescue message. From conveying messages to being used in scientific or sport endeavors, these instruments have evolved into what they are today. Many other countries besides China have had their own versions of kites. From China to India and from Indonesia to New Zealand, kites were used in various religions as a way to give messages to the gods. In time they were used to transport all kinds of objects as well as people from place to place. They were also used to conduct experiments in the scientific world; weather, for instance. Mankind has always been interested in flight. Such fascination with it has brought about inventions in aviation using the techniques developed in kiting. 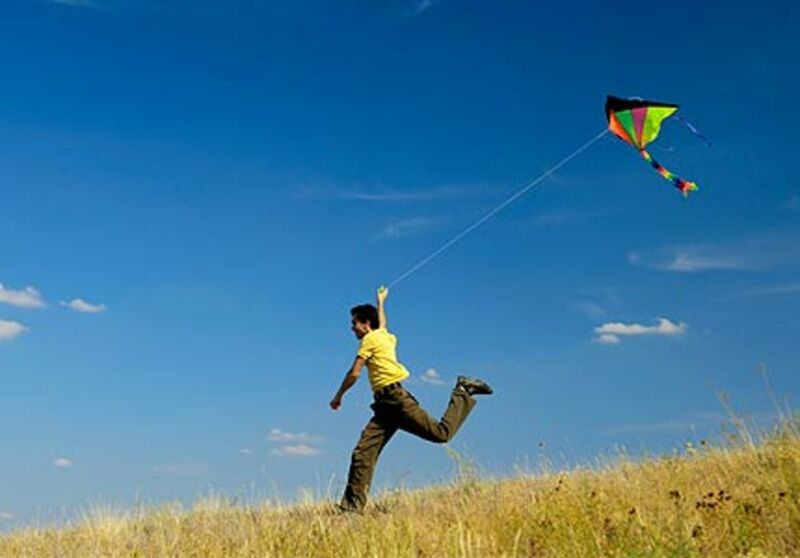 In order for a kite to fly, it must have more lift, or the ability to travel upward than weight. The wind flowing under the object enables it to lift into the air. Outdoor kites are a good example of this. Indoor kites are a good example of kites with enough lift to float but not to fly because of lower wind capacity and stronger weight of the kite itself. As experimenters discovered more uses they invented more products. The invention of box kites allowed more air to flow through the kite thus generating greater capacity for lift. These kites have enabled man to transport himself and other objects in flight. Further discoveries became useful in aviation. 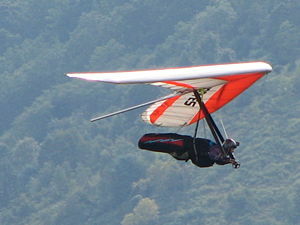 Man invented new ways to travel, such as in hot air balloons; or to have fun, such as in hang gliding. A box kite is simply a cell that is folded in fourths (4ths) making a square. The cell is then attached to a mount. The cell and mount are attached to a bridle in order to stabilize it. The bridle is attached to a chord. 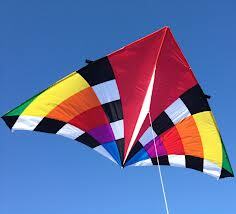 The operator or flyer of the kite holds the chord as wind currents flow through it causing it to fly. The operator of the kite can attach it to a conveyance that can pull the kite along. This technology is used in the modern day industry of ship pulling. Airfoil kites or kites that have a wing-like design are made to handle increased air flow. Thus they are able to pull bigger objects further. These also offer better traction. Bird's wings and fish bodies offer examples of natural airfoil technology. The curve in the airfoils design allows for deflection of on coming air. In airfoil kiting air flows under and over the wing shaped material. The wind is stronger underneath. This offers more lift. Drag, the opposite force acting upon the kite, stabilizes it. As the kite flies into the air it is better able to pull bigger and stronger objects. Hydrofoil is a type of kiting technology that uses water in order to transport a vehicle from place to place. When traveling at high speeds, the boat's weight is supported by the water in order to lift as well as propel the boat forward. The water acts much like air. The speed drives air down and up. This creates equal and opposite pressure that lifts the majority of the boat's hull (the front half) out of the water. Motors in boats help to move them forward. Kiting technologies have made vast improvements in our world over the years. Without these improvements, we would still be earth bound and not able to enjoy the freedom we have today in transportation, sports or recreation. I have enjoyed the time spent in researching and discovering the wide uses for kiting. This is no way a complete article on this topic. These are just a few highlights on the vast history and types of kites. Enjoy. Box kites haven't been around for as long as many people think, The Chinese were using single sail kites 2.800 years ago. 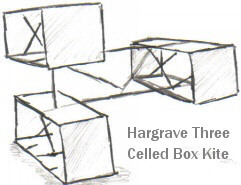 The box kite though, was only invented about one hundred years ago by an Australian called Lawrence Hargrave. He wanted to use.. The Kite That Wouldn't Fly.